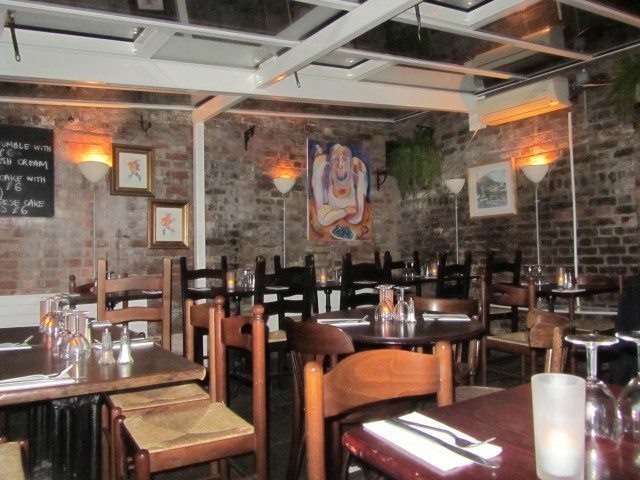 It had been many years ago that I had been to La Brocca and I remember it to have been a lovely restaurant. It was going to be interesting to see if it would still be just as good this time round. The hope was that it would be especially as it was a belated birthday meal for my friend. La Brocca is split into the bar and the restaurant, with the bar on the street level and the restaurant on the lower level. The restaurant entrance is separate and it is down the steep stairs. The bar was heaving the evening we went and we had to squeeze past the customers to get to the restaurant entrance. The staff welcomed us into the restaurant and we were given a table towards the back of La Brocca. 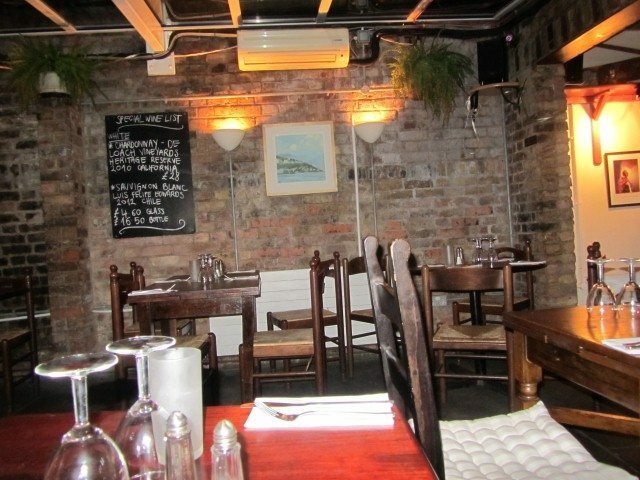 The restaurant was fairly dimly lit and it looked that the outside area had been decorated with lots of greenery and plants. Pizza and pasta was our meal for the evening and it was all freshly cooked. The staff were really friendly and let us customise the San Remo pizza into a vegetarian one. Originally, the San Remo pizza had toppings of baby spinach, mushrooms, egg and Parma ham. The ham and the egg were replaced with roasted red peppers and onion. A crisp base, an intense flavoursome tomato sauce, lots of vegetables, all topped with fresh baby spinach made this a perfect pizza. 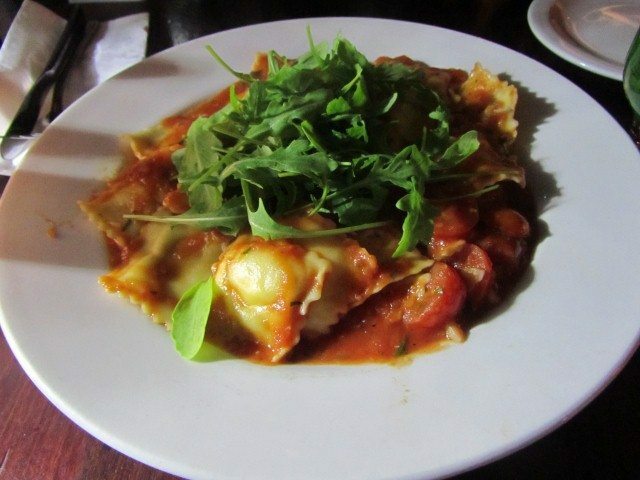 Big pillows of the fresh pasta ravioli were stuffed with the orange pumpkin and served steaming hot. The sauce was made of plenty of juicy cherry tomatoes and was fairly spicy. The sweet soft pumpkin was a great contrast to the spicy heat of the sauce. 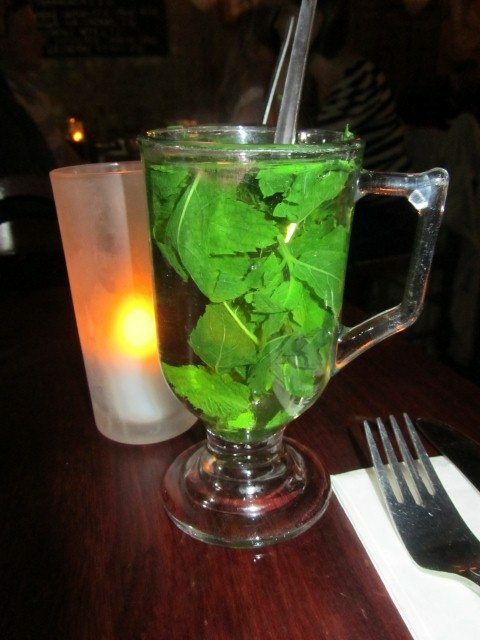 Fresh mint leaves steeped in hot water made the mint tea. It was served with slices of lemon. La Brocca was just as good as it had been many years ago and it seems like this restaurant is a timeless place. It does simple no fuss Italian cuisine with big bold flavours and great freshness.